Cheng Li produced a liquefied gas storage tanks in series, can be used to store the different nature of the liquefied petroleum gas (propane), propylene, ammonia, dimethyl ether, methanol, butadiene, butane, ethylene oxide, methylamine, etc.in low pressure liquefied gases at room temperature; volume from 10 cubic meters --- 120 cubic optional. Besides, the lpg gas tank, Chengli Special Automobile Co., Ltd. could offer lpg gas trailer, lpg gas tank, lpg gas delivery truck, lpg gas dispenser vehicle, skid lpg gas filling plant, etc. More information, please feel free to contact with Ms. Anita Deng. 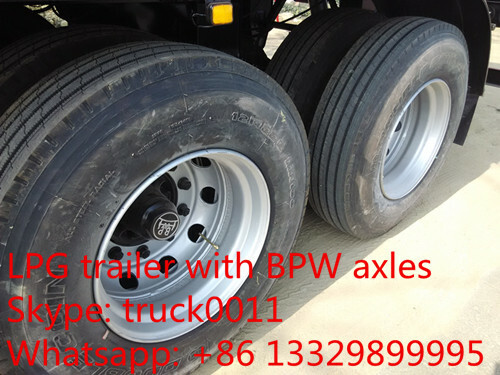 The standard devices are single outlet, double side loading and unloading, double valves boxes, double toolboxes, safety valve, temperature gauge, pressure gauge, cut off valves, 3 axles 13ton BPW bridges(FUHUA bridge), 12 sets12.00 vacuum tyres and 1 set spare tyre, JOST outriggers, JOST traction pin, one extinguisher bottle, steel flippers, with ABS, etc. 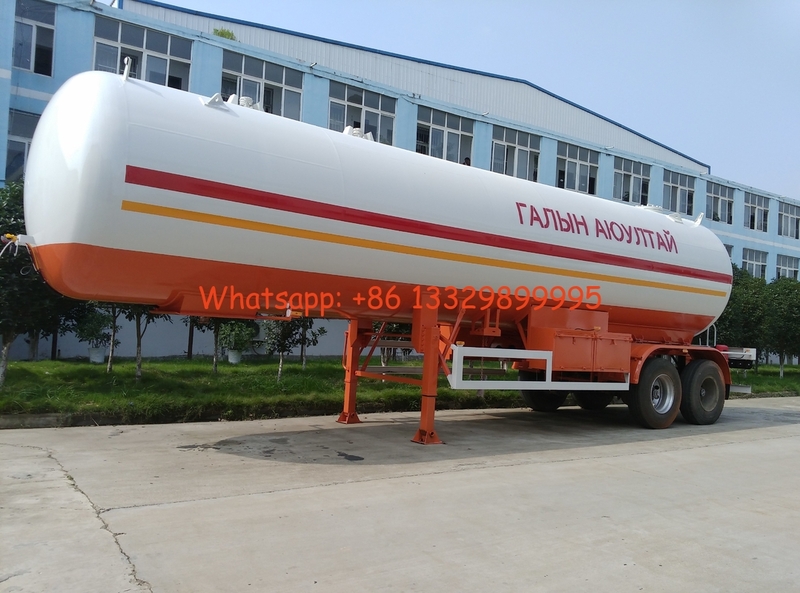 The LPG tanker semi-trailer is line with the GB150-1998, <<Supervision Regulation On Safety Technology for Pressure Vessel>>, <<Regulation of Safety Supervision for Liquefied Gas Tank Car>>. The data above is for your reference, we reserve the right of technical alteration/change for better improvement without prior notice. The detail is line with the contract. 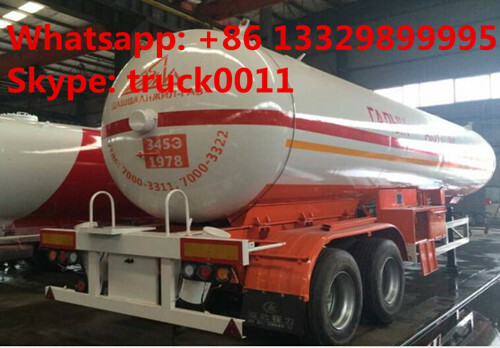 The loading capacity of the lpg gas trailer for isobutane is 27.44MT, the lpg gas trailer mass of 12,560kgs, adopting high quality Q345R material. If you're interested in our lpg gas pressure vessels, please send email to szhj9999@163.com or call +86 13886878855.